When I wrote last week about breastfeeding a toddler, I was very conscious that I was merely looking to capture my experience. There are many reasons why a mother might choose to breastfeed her child or not, and many more that will influence how long that aspect of their relationship continues. It is not my place to judge them for the decision they have made, or question their reasons for making it. But then I read a comment that, just for a moment, made me question mine. One of my readers wrote that, on reading my article, he was left feeling that the extended breastfeeding relationship did much to benefit me but he couldn’t see how it benefited my child. That whilst I said that my son was not ready to stop, in fact it was me who wanted to continue. Now part of me felt that I should just dismiss this entirely. Even if my reasons for continuing to breastfeed were mainly driven by my needs it’s not like it is harming my child – the World Health Organisation recommends breastfeeding for two years or beyond after all. There are so many choices to be made as a parent, and it is always a process of weighing up the needs of everyone involved before coming to a decision. But another part of me wanted to tell him that he was wrong. That not only do I know that my child is not ready to wean but also that there are numerous benefits he enjoys by continuing to nurse. Having looked deeper into the WHO recommendations as well as other research I was actually a bit surprised at just how many possible benefits have been found by the numerous studies that have been carried out. Improved nutrition: in the second year breastfeeding can provide around a third of a child’s energy requirements as well as significant amounts of protein, calcium, folate and other vitamins. Not bad for a fussy toddler! A continuing boost to the immune system: some of the immune factors in breast milk actually increase during the second year. A wide range of other health benefits, including reduced incidence of asthma, lower blood pressure in later life, improved dental development, protection against Type 1 and Type 2 diabetes, reduced risk of epilepsy. Extended breastfeeding has also been liked to lower rates of childhood cancer and obesity. Improved cognitive skills, with the greatest gains for those breastfed the longest. An important source of comfort, soothing tantrums and over-tiredness as effectively as a sore knee. Increased confidence and independence. This one might come as a surprise, but as with many aspects of attachment parenting the secure bond created in the early years allows the growing child to branch out more, not less. There are also, of course, a number of benefits for the mother who chooses to breastfeed her child past one year – benefits that are often overlooked in the argument that extended breastfeeding is merely pandering to the demands of the child. A range of health benefits, including reduced incidence of Type 2 diabetes, lower incidence of hypertension, protection against breast cancer and ovarian cancer. It can help to control your weight – whether helping shed the extra pounds or protecting against too much weight loss during the nursing period. It reduces stress – the very act of nursing is relaxing, partly down to the calming effects of prolactin but also the physical closeness with your child that it necessitates in the middle of a hectic schedule. Added to this there is the peace of mind that comes from the health and nutrition benefits for your child described above. Of course not all of these benefits will apply to everyone, and there are doubtless things that other mothers can add to this list. I think it provides a pretty solid retort, though, to those who believe that only one party can benefit from extended breastfeeding – or in fact that it is a fruitless enterprise altogether. I feel immensely privileged that I have been able to breastfeed my child, and that circumstances have allowed us to continue this relationship for as long as we have. Now that I’ve reminded myself of just how many things we both stand to gain from it I’m most definitely not in a hurry to stop any time soon. I have endeavoured to reference my sources for some of the more tangible claims above, but if you would like to find out more there are numerous resources available on the UNICEF and La Leche League websites. If you’d like to ask a question, or if I’ve missed anything you’d like to add, then please do so in the comments below. 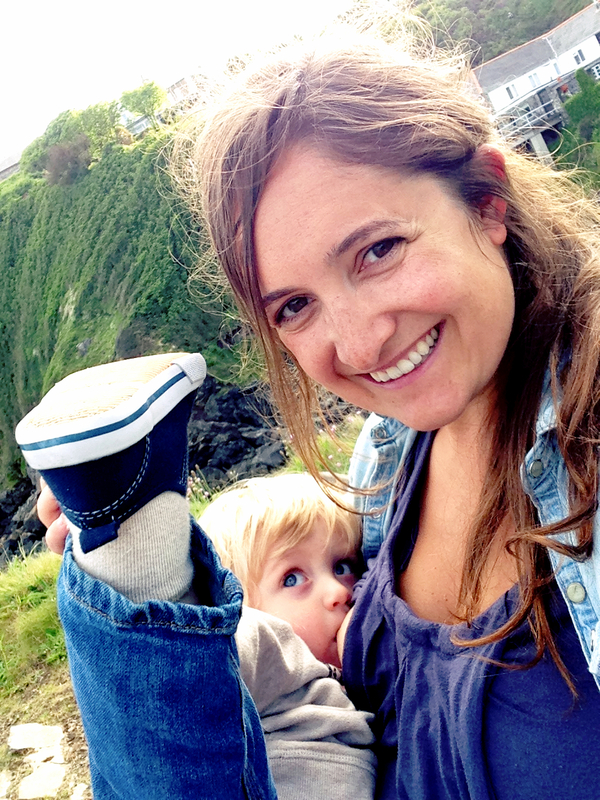 This entry was posted in Sophie is parenting, Uncategorized and tagged breastfeeding, child development, child nutrition, extended breastfeeding, la leche league, nursing, toddler breastfeeding, UNICEF, world health organisation on September 30, 2014 by sophieblovett. It is just so amazing to see all the benefits for child and mother listed here. There are so many of them! It makes me even more determined to try and ensure that Boo can continue to feed from me as long as she wants, even after I go back to work. I’ve just read your post from last week and I’m staggered that anyone could think you were doing this mainly for your own benefit! It’s clearly very important to your child too. You’re absolutely right, there are so many benefits to both of you. I’m still breastfeeding a toddler (well, I’m 3 months off breastfeeding a preschooler actually, and I doubt she’ll suddenly stop in the next 3 months) and I know that it is the right decision for both of us. I’m at the stage now where I honestly wouldn’t mind my daughter stopping, but it’s her call. There’s no pressing reason for me to stop her before she’s ready and, for me, the pros outweigh the cons. This post is a great summary of those pros. And that’s an ace photo too! 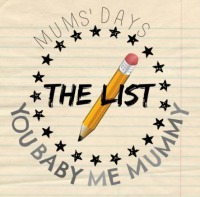 Oh and thanks for linking to #TheList!! Thank you 🙂 You’re right – it’s ridiculous to make the distinction really. And so hard not to get defensive when people question such a personal decision!